1. What made you set up www.misfitwedding.com? 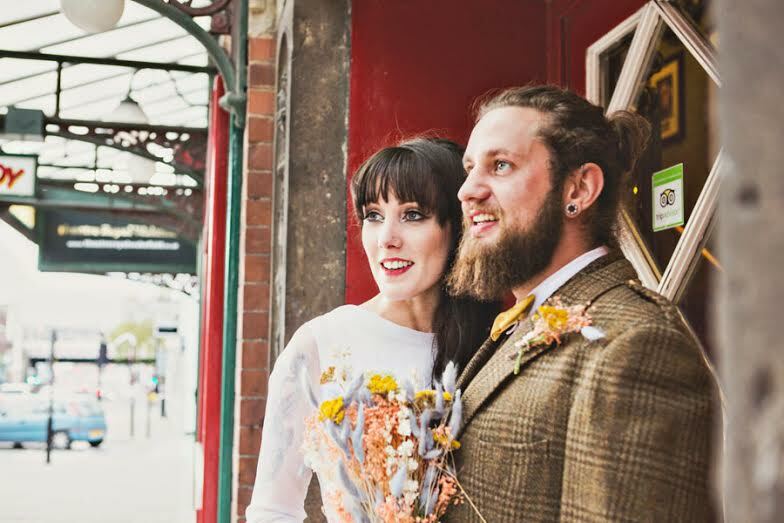 We’re all friends and regularly chat (usually in the pub) about shared interests and we noticed alternative weddings was often a talking point. This coincided with a plan we were hatching to join forces and work on something together, alongside all of our day jobs. We did some homework and realized other people were finding it tricky to find all the things they needed for their weird and wonderful wedding plans, so we knew we could create something to make their lives easier. Now we’re on a mission to bring all these things into one handy place, so anyone planning an unconventional wedding will have a better chance of finding the inspiration and resources they’re looking for. 2. How important is it to have a wedding that reflects the couple’s personality? It’s everything. Your wedding day should be exactly that – your wedding day. So if the usual traditions mean nothing to you, forget them and throw as much of your own personality into the day as you can squeeze in. Your guests will appreciate it too, they want to see you being you and shining on your big day. 3. How big a trend is personality in wedding planning and fashion at the moment and why is it so popular? It does seem people are shaking off the shackles of convention and putting their own set of footprints in the sand. Whether it’s a trend is debatable, trends come and go, we’d suggest the desire to inject some personality into your wedding day is something that is here to stay. More a case of evolution than just the ‘in thing’ at the moment. Why? Because we’re a more open and accepting society now. Things that would have been frowned upon 50 years ago are now embraced. There must be endless social and cultural reasons. The internet has got to be partly responsible, opening up new worlds to people, showing them new possibilities and making it so much easier to get hold of the things they need to make their unique day happen. 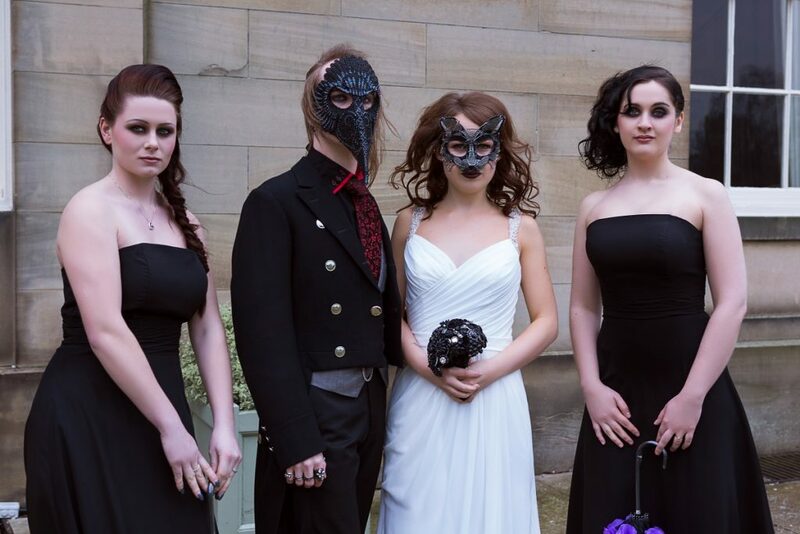 20 years ago booking a Zombie Combat stag do, ordering some Teenage Mutant Ninja Turtles high heels and buying a customised Alice In Wonderland wedding dress would have been a huge undertaking – these things either didn’t exist or we didn’t know where to find them if they did exist. Nowadays there is so much more available to consumers and it only takes a few minutes to find out if these things exist and where you can buy them. We’re also constantly seeing strange and beautiful things in our social media feeds, so we know what wonders are out there, we’re far more aware of all the creative stuff going on around the world. 4. Many people set out to have a unique and personal wedding but dreams often get downsized as the big day approaches as we don’t quite have the courage to follow them through. How would you encourage couples to stick with their chosen path when planning their big day? As long as you remember it’s all about you then you’ll be on the right path. You don’t want to look back and regret your choices so go with your heart and wear that heart on your sleeve! 5. 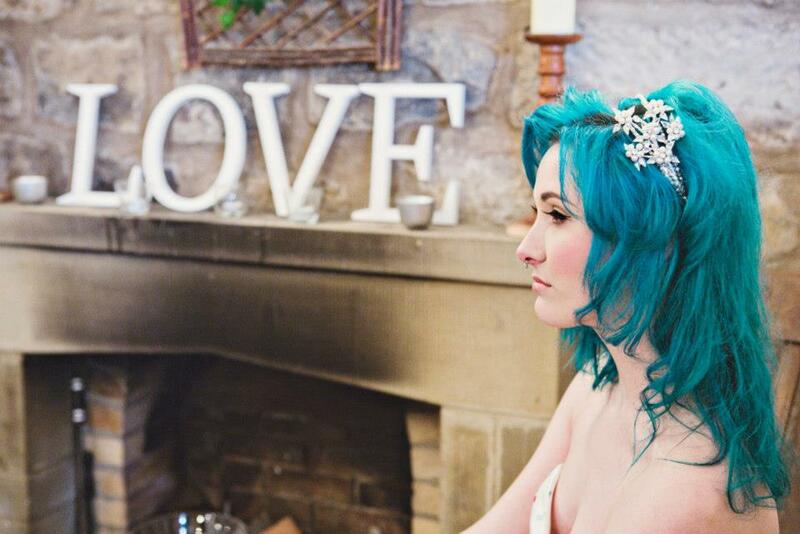 What would you classify as a misfit wedding? A misfit wedding is a wedding where the couple did their own thing, they threw caution to the wind and showed the world their personalities. Rules were broken, conventions were side-stepped, tradition took a back seat. 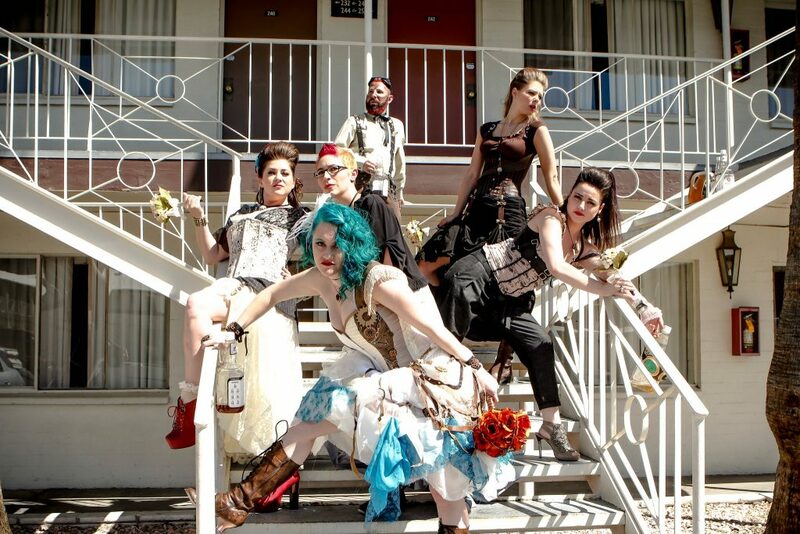 This picture by Hanna Hopper (above) is of a Steampunk wedding that took place in the desert outside Las Vegas. That was about as far away from a traditional church wedding as you can get! 6. 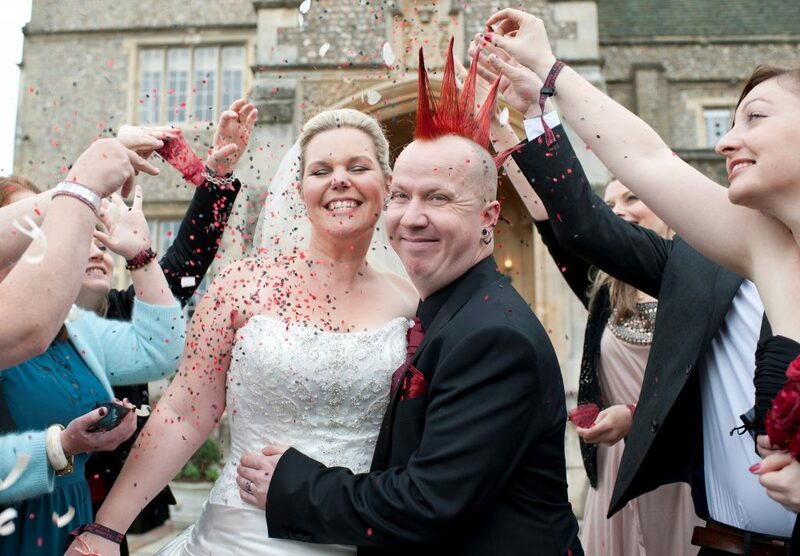 How much of a misfit would you call Rebellious Bride, a real “recycled” bride? A total misfit! 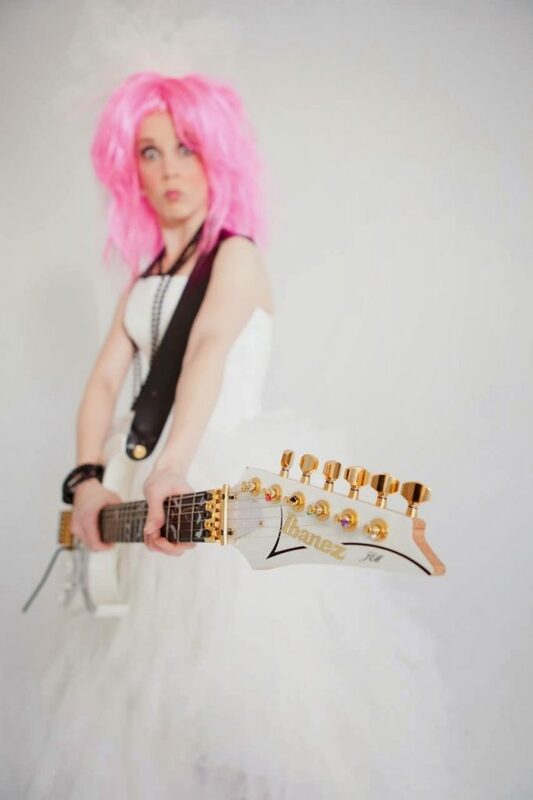 From the pink hair to the feisty attitude, Rebellious Bride screams misfit! 7. Is there enough out there yet for rebellious brides wanting to break away from the norm? In terms of products, yes! The number of talented artists out there creating beautiful clothing and accessories is unbelievable. And that carries across to venues, entertainers, caterers and so on, there are so many options out there because all these rebellious souls are doing their own thing and making it work. We’re hoping we can do some of the work for potential misfit brides and grooms by showing them where all this stuff is so that they aren’t left floundering and scratching their heads!